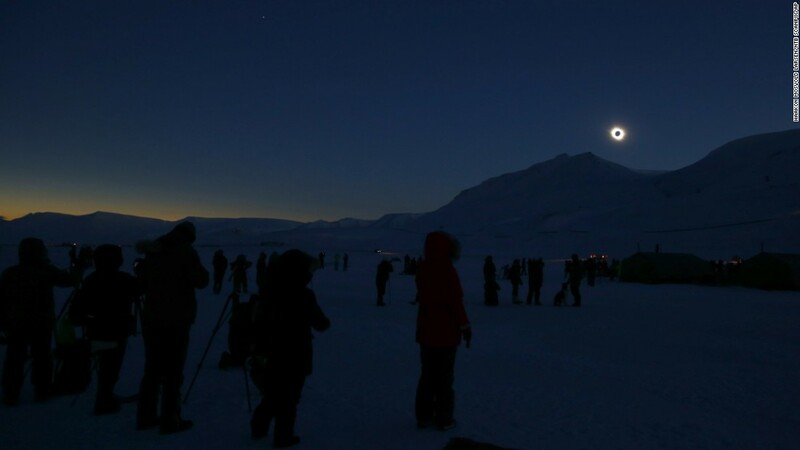 In nine weeks, on August 17, 2017, residents of the continental United States will be treated to a total solar eclipse as they enjoy their noon-time repast. 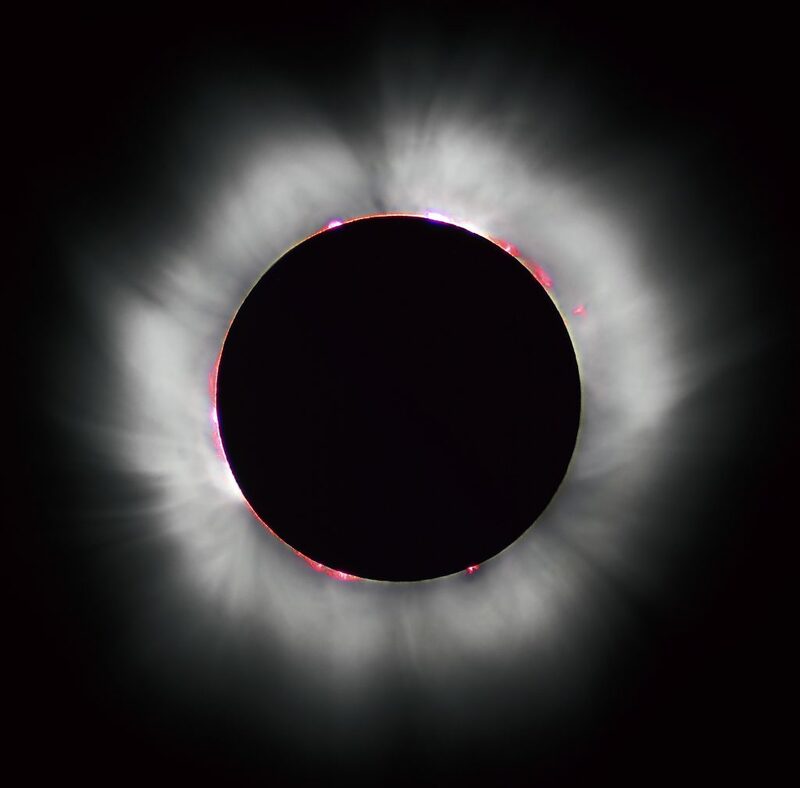 If you are standing along the line of totality, which stretches from Oregon’s Pacific coast to South Carolina’s Atlantic surf, and if you have a good telescope, you may even be treated to a view such as the one below photographed by Luc Viatour ( www.Lucnix.be) during the August 1999 total solar eclipse over France! 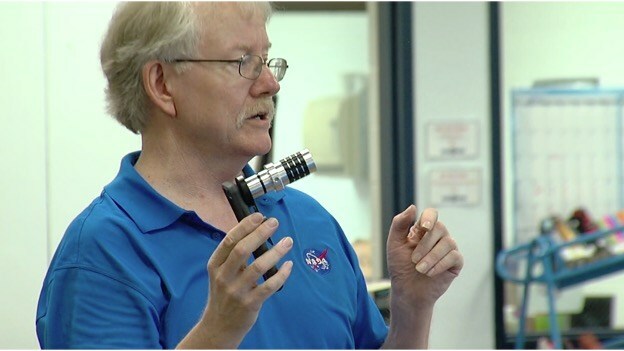 In this blog, I am going to mention some of the work I am doing to help the public enjoy this once-in-a-lifetime event through my various projects at NASA. NASA, as part of its informal education programs, has adopted this event as a major national PR effort to focus its many assets on the ground and in space. In early-2016, my group at the NASA Goddard Spaceflight Center called the Heliophysics Education Consortium (HEC) was asked to lead the charge organize this event. Led by Dr. Alex Young, the HEC team has created the Official Eclipse website, and I have had the great pleasure and honor to have written many of its resources. So, think of this Blog as an introduction to the What, Where, When and How of this eclipse, and a personal tour by me for how you can enjoy this rare and magnificent event! First, you probably have a lot of questions about solar eclipses, so I wrote a FAQ Page that covers most of the common ones. 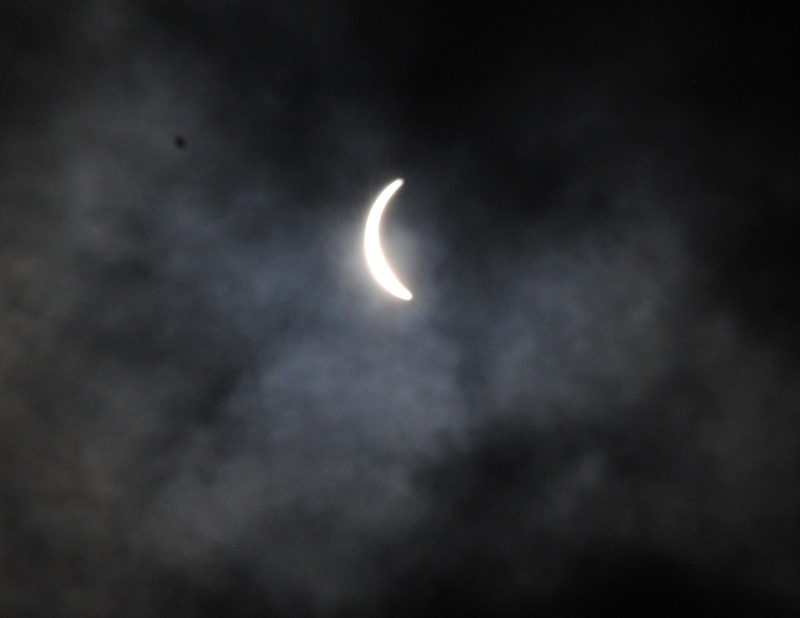 I also wrote an essay about the many Eclipse Misconceptions that people have had about solar eclipses. Some are quite bizarre, but seem to be passed on from generation to generation despite our deep scientific understanding of them! Take a look at the picture at the top of this blog. During most total eclipses of the sun, you are guaranteed to see the brilliant solar corona. With a telescope or a good telephoto lens, you may even glimpse the reddish hue of the solar chromosphere following along the darkened limb of the moon. Here and there, you may even see a solar prominence also glowing in reddish light. These features are hard to see because they are rather small and with the naked eye you just don’t have the natural magnification to see them well. I will be writing a number of essays that discuss particular aspects of the sun and post them at the Eclipse SCIENCE page. Topics will include the corona, prominences, chromosphere and the dramatic helmet streamers so far as astronomers understand them today. It’s all about solar magnetism and how this interacts with the 100,000 degree plasma in the solar atmosphere. The corona, itself, has a temperature of several million degrees! It is about a million times fainter than the disk of the sun, which is why you only get to see it during an eclipse. But astronomers can use instruments called coronagraphs to artificially eclipse the sun, and allow us to study coronal features at our leisure. There are many things you can do while waiting for the eclipse to start, and a few non-invasive things you can do while the eclipse is in progress. 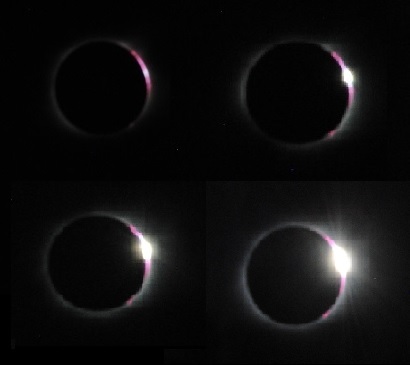 I have tried to collect these ideas into two areas called Citizen Explorers and Citizen Scientists depending on how serious you want to be in exploring eclipses. If you have a mathematical mind, I have even created a dozen or so curious Math Challenges that help you look at many different aspects of the event. Some people may be interested in uploading their images, and in my essay on Geotagging I describe two ways that you can upload your selfies so that others can enjoy your efforts. The first is to use GOOGLE Maps but you can only upload your photo to preexisting ‘tagged’ locations in GOOGLE Maps (nearby businesses, monuments, parks, etc). This is unlike the discontinued Panoramio/GOOGLE Earth feature where you could upload your picture to any geographic location on the planet. The second way is to send your pictures to a NASA site that is collecting them. For a rare event like this, you might also want to create a time capsule of your experience. I have suggested that you write a letter to yourself about who you are today, and what you think the future holds for you. 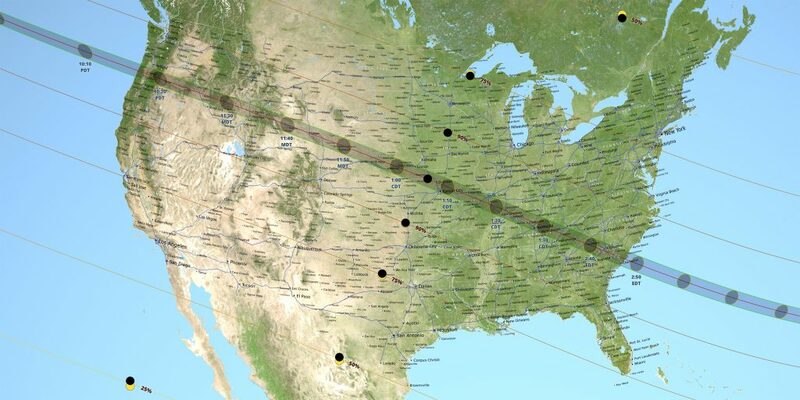 On April 8, 2024 there will be another total solar eclipse across the continental United States and you might set that date as the time when you next read your letter being at that time 7 years older! 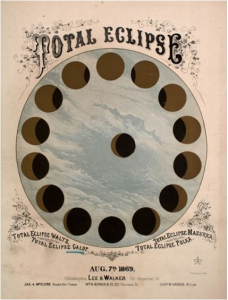 People have observed total solar eclipses for centuries, and in my Eclipse History area I have a number of essays that describe earlier observations in the United States. There is even an archive of newspaper articles since the early 1800s in which you can read first-hand accounts. Some music has also been written and performed with solar eclipses in mind! In my Music Page I list many of these pieces both in classical and pop music over the years. Who can forget Carly Simon’s ‘…You flew your Lear Jet to Nova Scotia to see the total eclipse of the sun’ about the March 7, 1970 eclipse! One thing I find interesting is that since the 1500s there have been over a dozen eclipse paths that have crossed the one for August 21, 2017. I created several resources that describe these ‘magical’ crossing points and what history was going on in North America during these dates. I also created a set of math problems where you can calculate the latitude and longitude for these crossing points if you are in-to math! Where should you go to see this eclipse? In one essay I discussed how there are dozens of airline flights on that day from which passengers may be able to see the total solar eclipse out their windows if the Captain gets you to the right place and time along the route. For folks on the ground, you can check out NASA’s Path of Totality maps and see if your travels on that day take you anywhere close. For the rest of us, no matter where you are in North America, you will at least see a partial solar eclipse where a small ‘bite’ is taken out of the solar disk. With a pair of welder’s goggles or solar viewing glasses, you can look up anytime around noon and see the eclipse in progress. NASA plans to collect stunning images from some of its available spacecraft, so on this page I collected information about which spacecraft will participate. After the eclipse, you will see in the News Media many of these images as they are produced during the days after the event. Myself, I will be joining the NASA Eclipse Team in Carbondale, Illinois for a huge public celebration of the total solar eclipse. This will be televised through numerous NASA feeds all along the path of the eclipse so you can view it on your smartphone or laptop screen wherever you are. I will be involved with this telecast between 11:45 and 1:45 CDT as a panelist on several of the program segments. When I return from this event, or perhaps even during it, I will upload a follow-up blog about what it was like from ‘Ground Zero’. I have never experienced a total solar eclipse before, so I am prepared to be stunned and amazed! 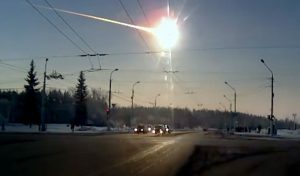 In 2013, a small 70-meter asteroid exploded over the town of Chelyabinsk and injured 3000 people from flying glass. Had this asteroid exploded a few hours earlier over New York City, the flying glass hazard would have been lethal for thousands of people, sending thousands more into the emergency rooms of hospitals for critical-care treatment. Of all the practical benefits of space exploration, it is hard to argue that asteroid investigations are not a high priority above dreams of colonization of the moon and Mars. So why is it that the only NASA mission to actually try a simple method to adjust the orbit of an asteroid cannot seem to garner much support? There has been much debate over the next step in human exploration: whether to go back to the moon or take the harder path to Mars. The later goal has been much favored, and for the last decade or so, NASA has developed a step-by-step Journey to Mars approach for doing this, beginning with the development of the SLS launch vehicle, and the testing out of many necessary systems, technologies and strategies to support astronauts making this trip, both quickly and safely. Along with numerous Mars mapping and rover missions now in progress or soon to be launched, there are also technology development missions to test out such things as solar-electric ‘ion’ propulsion systems. One of these test-bed missions with significant scientific returns is the Asteroid Redirect Mission to be launched in ca 2021 for a cost of about $1.4 billion. NASA’s first-ever robotic mission will visit a large near-Earth asteroid, collect a multi-ton boulder from its surface, and use it in an enhanced gravity tractor asteroid deflection demonstration. The spacecraft will then redirect the multi-ton boulder into a stable orbit around the moon, where astronauts will explore it and return with samples in the mid-2020s. But all is not well for ARM. ARM was proposed in 2010 during the Obama Administration as an alternative to the canceled Constellation Program proposed by the Bush Administration, so with the new GOP-dominated administration set on dismantling all of the Obama Administrations’ legacy work, there is much incentive to eliminate it for political reasons alone. Reps. Lamar Smith (R-Texas), chairman of the HCSST, and Brian Babin (R-Texas), chairman of the HSST space subcommittee reportedly feel that the incoming Trump administration should be “unencumbered” by decisions made by the current one — like what they want to do with the ACA . They claim to have access to “honest assessments” of ARM’s value rather than “farcical studies scoped to produce a predetermined outcome.” The House’s version of the 2017 FY appropriations bill includes wording that would force NASA to fully defund the ARM program. Furthermore, Smith and Babin wrote, “the next Administration may find merit in some, if not all, of the components of ARM, and continue the program; however, that decision should be made after a full and fair review based on the merits of the program and in the context of a larger exploration and science strategy.” Similar arguments will no doubt be used to cancel climate change research, which has also been deemed politically biased and unscientific by the current, incoming administration. But ARM is no ordinary ‘exploration and science’ space mission, even absent its unique ability to test the first high-power ion engines for interplanetary travel, and retrieve a large, pristine multi-ton asteroid sample. All other NASA missions have certainly demonstrated their substantial scientific returns, and this is often the key justification that allows them to proceed. Mission technology also affords unique tech spinoff opportunities in the commercial sector that makes the US aerospace industrial base very happy to participate. But these returns all seem rather abstract, and for the person-on-the-street rather hard to appreciate. For decades, astronomers have been discovering and tracking 100s of thousands of asteroids. We live in an interplanetary shooting gallery, where some 15,000 Near Earth Objects have already been discovered, and 30 new ones added every week. NEOs, by the way, are asteroids that come within 30 million miles of Earth’s orbit. These asteroids measure 1 kilometer or more, and statistically over 90% of this population has now been identified. But only 27% of those 140 meters or larger have been discovered. Once their orbits are determined, we can make predictions about which ones will pose an danger to Earth. 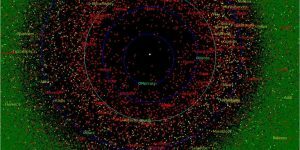 Currently there are 1,752 potentially hazardous asteroids that come within 5 million miles of Earth (20 times Earth-moon distance). There are none predicted to impact Earth in the next 100 years. But new ones are found every week, and between now and February 2017, one object called 2016YJ about 30 meters across will pass within 1.2 lunar distances of Earth. The list of closest approaches in 2016 is quite exciting to look through The object 2016 QA2 discovered in 2016 in the nick of time, was about 70 meters across and came within 53,000 miles of Earth. Upon impact, it would have been an event similar to Chelyabinsk. Even larger, and far more troubling very close encounters have been predicted for the 325-meter asteroid Apophis in 2029, and the 1-kilometer asteroid 2001WN5 in 2028 and well within the man-made satellite cloud that surrounds Earth. The first successful forecast of an impact event was made on 6 October 2008 when the asteroid 2008 TC3 was discovered. It was calculated that it would hit the Earth only 21 hours later. Luckily it had a diameter of only three meters and did not cause any damage. Since then, some stony remnants of the asteroid have been found. But this object could just as easily have been a 100-meter object exploding over New York City or London, with devastating consequences. So in terms of planetary defense, asteroids are a dramatically important hazard we need to study. For some asteroids, we may have as little as a year to decide what to do. Although many mitigation strategies have been proposed, none have actually been tested! We need to test as many different orbit-changing strategies as we can before the asteroid with Earth’s name written on it is discovered. Honestly, what more practical benefit can there be for a NASA mission than to materially protect Earth and our safety? Check back here on Thursday, January 5 for the next installment!